Last night’s National Letting Go of Stuff Day reception was, in a word, “fabulous.” Please enjoy the pictures at the end of this blog post. Linda, the harpist, played her heart out and set a wonderfully harmonious ambiance for the evening. Bill Sterling was a gracious emcee. He also set the tone with his incredible voice as he sang his heart out for the audience. Bill also auctioned off, with his voice, the paintings offered up by the two local artists. Laurie Samaniego and Christopher Martinez, the two local New Mexican artists, both were wonderful. Christopher offered three of his fine art photographs to be auctioned off. What a great gesture of kindness. rendition of the meaning of the day. Her efforts are to be upheld as spectacular because she literally shared her heart and soul during the night – through her passion and work. At one point during the reception I invited anyone to come up and share what they plan to let go of between National Letting Go of Stuff Day this year (last night) and March 28, 2013 – which is when this national day will come up again. Many people shared genuinely, emotionally, and with confidence what they are going to let go of starting – yesterday. CONGRATS to all who shredded your letting go claims!! In all, the event was a major success. It will go down in the records of National Letting Go of Stuff Day as the best of the best receptions in the four years since the day was established. Awesome! To our sponsors – Human Resource Management Association (HRMA) Albuquerque, Foreclosure Rescue, LLC, and InsideOut Learning, Inc. I would like to extend a big THANK YOU for your support and participation. Congratulations to everyone! Can’t wait for next year’s event. Attendees were asked to write down and shred something they want to let go. Chris Martinez giving one of his auctioned pieces of artwork to the winner of the auction. This entry was posted in National Letting Go of Stuff Day. Bookmark the permalink. I like it! I like it a whole lot. You know precisely what youre talking about, specifically where other people are coming from on this issue. Im glad that I had the fortune to stumble across your weblog. Its undoubtedly an important problem that not sufficient individuals are talking about and Im glad that I got the opportunity to see all of the angles. Hi. Since not enough people are talking about this, it would be great if you were to share the Letting Go Cafe with as many people as you possibly can. 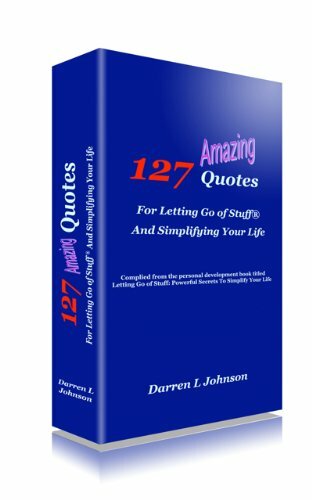 This way we can get more people talking about Letting Go of Stuff. Since I have been speaking and researching the topic of letting go since 1994, it makes a bit easier to kinds’ know what I am talking about. 🙂 Thanks for your comments. Please come back as often as you’d like.